‘Windfarm cover-up over golden eagle deaths’ – claim campaigners | Mothers Against Wind Turbines Inc.
Environmentalists and anti-windfarm campaigners suspect a cover-up over the number of golden eagles killed by wind turbines. They believe a decision to put back a census of bird numbers by two years is an attempt to hide the facts from the public. Scottish Natural Heritage said there was nothing sinister about the move, and there were practical and official reasons for extending the 10-year gap between censuses from 2003 to 2015. Anti-windfarm campaigner Lyndsey Ward, from Kiltarlity, said protecting the population of the iconic golden eagles must be of “paramount importance”. “Perhaps officials don’t want to know, or the public to know, what is really happening to the eagle population in Scotland so they can allow this turbine tsunami to continue unabated,” she said. The RSPB said that while the population of golden eagles had been “static” for years, the cause was not windfarms but “ongoing illegal persecution”. A Scottish Natural Heritage spokeswoman said that under a periodic review of the rolling programme of species surveys carried out by the Joint Nature Conservation Committee it was decided to move to a 12-year cycle. This was partly to make sure that the rolling programme was affordable and to fit in with EU Bird Directive requirements for six and 12-year monitoring. The spokeswoman added interim data suggested no decline in eagle numbers meant the census could be moved to a 12-year cycle, unlike hen harriers and capercaillie which were prioritised on a six-year cycle. The claim of a cover-up followed last week’s revelation that wind turbines have killed more birds of prey this year than poisoning and shooting combined. 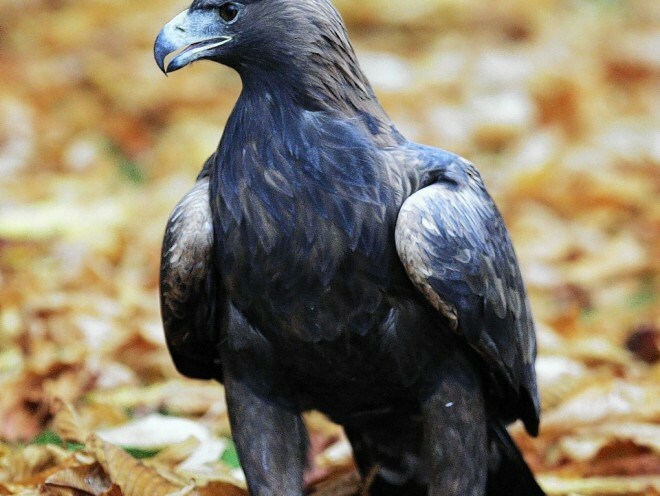 Mark Duchamp, chairman of the World Council for Nature and president of Save the Eagles International, said there was no reason to delay the survey into golden eagle numbers. “The reason in my opinion, they have something to hide,” he said. Anti-windfarm campaigners shared the concerns of Spain-based Mr Duchamp.